Our Ultra-Cool Ventilated Suit is manufactured with three-layer fabric mesh. 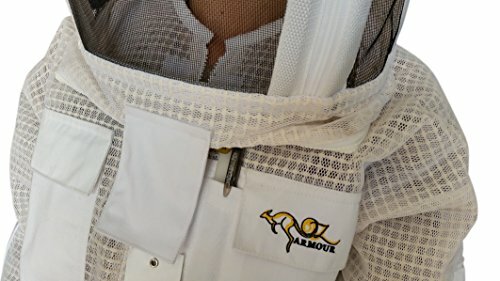 The mesh allow air to circulate around your body and provide sting protection. 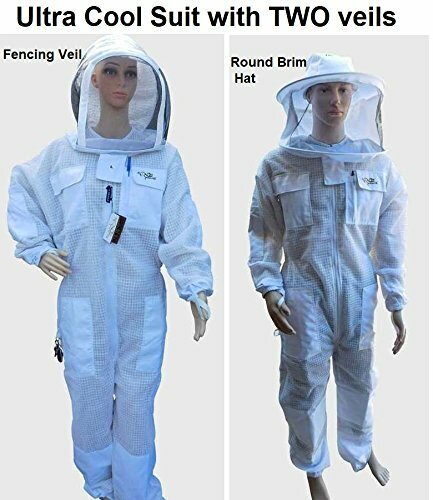 This suit includes two veils; Fencing/Folding, Round Brim and comes with ventilated Gloves. Veils are easily attached with the zippers, so you can choose which style best suits you. Our suits maintain a protective barrier against bees while other traditional cotton suits may cling to your skin making stings possible. 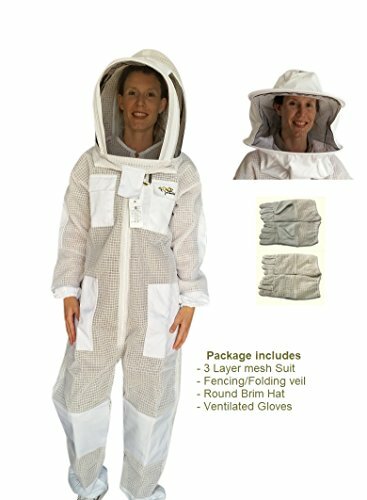 Our veils have the unique (Patent) feature of a plastic insert within the hood which distances the mesh from your face reducing the risk of bee stings and providing comfortable wear. The mesh in our veils is Italian made, is durable and provides high visibility. 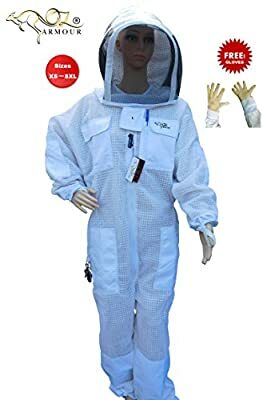 This suit is strong and of excellent quality and will last for years. The gloves are made of Cowhide, also strong and ventilated for comfort. 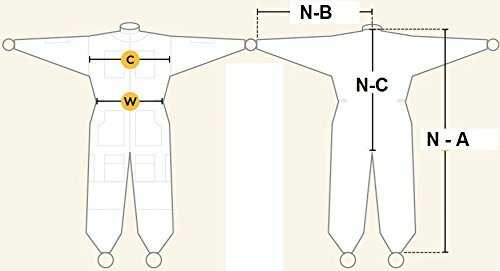 SIZE SELECTION: As a rule of thumb, we advise choosing ONE size up than your regular clothing size. E.g. 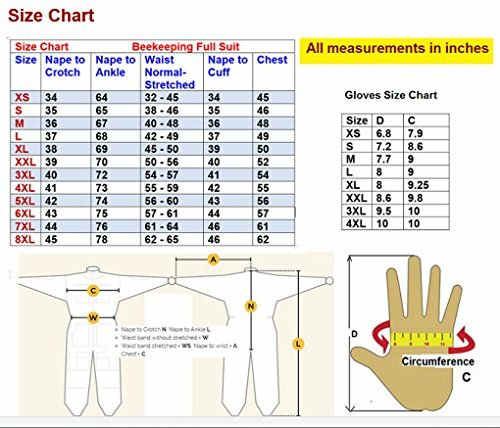 if your T-Shirt size is Large, please choose XL. This will allow enough room for internal clothing and movement. Whilst we recommend washing the detachable hood by hand, the suit is machine washable.